Want to keep your golf game in good shape, or improve your skills during the winter months? 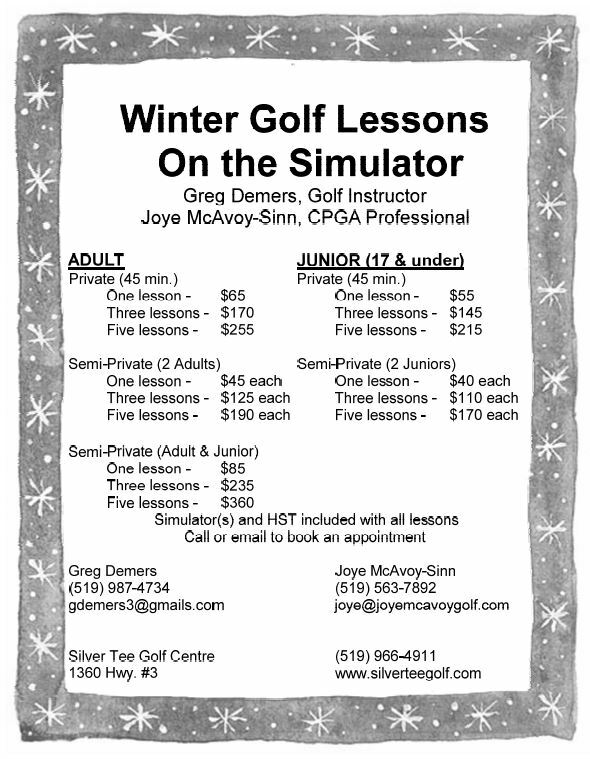 Golf lessons are available this winter by CPGA Professional Joye McAvoy and Golf Instructor Greg Demers. What is your golf goal for 2018? Break 100? 90? 80? 70? Enhance play with superior gear? Regardless of the weather, practicing indoors is a fantastic way to keep on top of your game and enhance your skills via the feedback from our amazing tech. Learn more here. 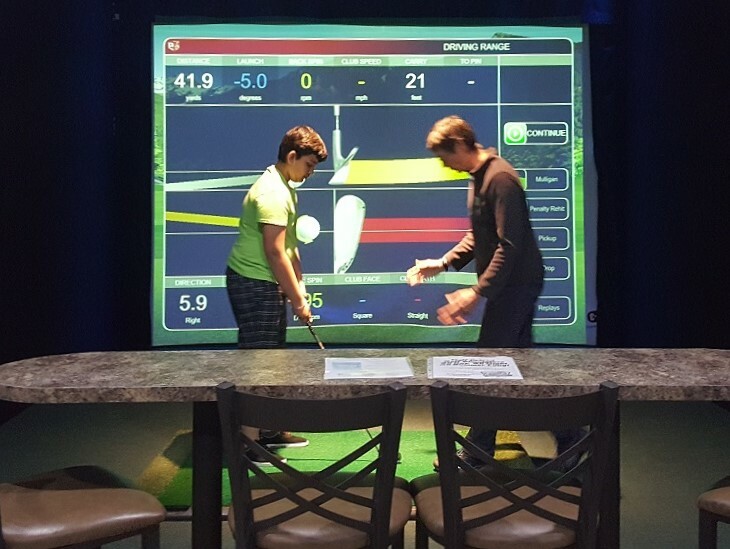 Winter is a fantastic time to take golf lessons… indoors. There’s no pressure to perform in the winter and when you take lessons at Silver Tee, you can use the feedback from our software to confirm what you’re learning from your golf teacher. If you’re hoping to golf more in 2018, involve your family! When members can understand your love for the game, they’ll be more supportive! 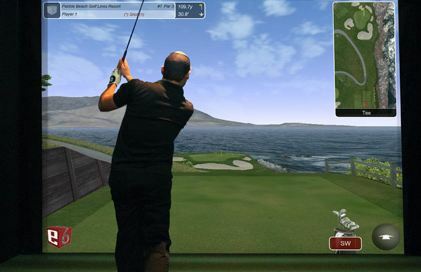 Our indoor golf software allows “boosting” to give even beginner golfers fantastic, competitive power (and mulligans too!)…. and yes – our indoor golf leagues are open to couples and juniors! What are you going to do to make 2018 YOUR golf year? Good luck! We’re here for you. 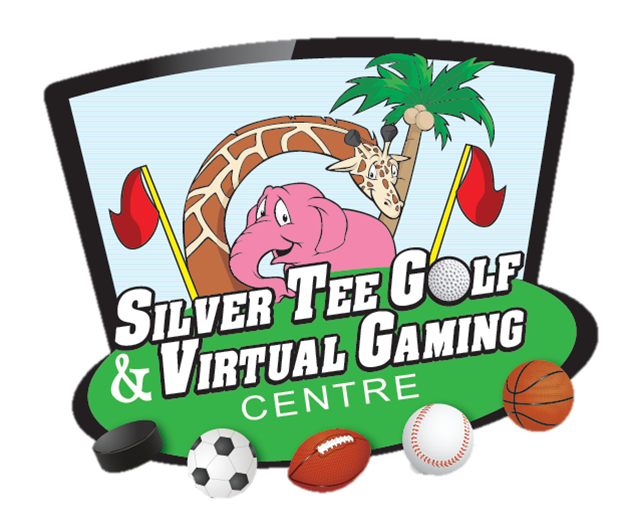 Winter is an excellent time to work on your golf game… indoors… with the best tech available… only at Silver Tee Golf & Virtual Gaming Centre! Whether you’re just starting, a beginner or an experienced golfer, our professionals will help you with all facets of your game. Gift certificates for golf lessons are available now at Silver Tee!